The Argentine Congress of Computer Science (CACIC) is organized by the Network of National Universities with Computer Science Courses (RedUNCI). CACIC brings together researchers, professors, professionals people, graduate and postgraduate students related to Computer Science discipline since 1995. The congress covers different areas by organizing workshops, coordinated by experts in the subject matter. Throughout these workshops, scientific papers, evaluated by researchers from all over the country and the globe, are presented. Apart from that, at CACIC, sessions and conferences related to the discipline will be held with the participation of academic and professional members. All accepted papers will be published in the Congress’ memories in CD-ROM under ISBN reference and incorporated to SEDICI, the public repository from National University of La Plata (UNLP). 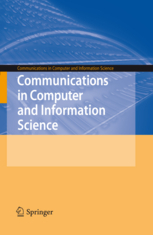 A selection of the best papers will be chosen and their authors will be invited to send a revised version for the later publication in Springer CCIS, Communications in Computer and Information Science. CCIS is abstracted/indexed in Scopus, DBLP, Google Scholar, EI-Compendex, Mathematical Reviews and SCImago. CCIS volumes are also submitted to be included in ISI Proceedings. Authors of other relevant papers will be invited to submit a properly extended and improved version to Journal of Computer Science and Technology, JCS&T and to Revista Iberoamericana de Tecnología en Educación y Educación en Tecnología, TE&ET. The JCS&T is indexed on Latindex, DOAJ, Google Scholar, REDIB, and others; while TE&ET is indexed on Scielo, Latindex, DOAJ, Google Scholar, REDIB, and others.